20 Important Reasons Clients Ask Jeffrey Behrendt To Prepare Wills for Them — and Why We Hope You Will, Too! Reason #1: Clients Are Delighted With His Services. People often talk about the lawyers they hire and how disappointed they were with their choice. Not so with Jeffrey. Below, read comments from our previous clients. Reason #2: Extensive Legal Experience. Jeffrey was called to the bar in 2000. Reason #3: Bachelor Of Arts Degree In Economics. Legal issues often have economic and financial repercussions. Yet most lawyers have little, if any, education in either. Jeffrey attended the University of Waterloo in Waterloo, Ontario on both a Descartes Scholarship and a Canada Scholarship. He earned a Bachelor of Arts Degree in Economics, graduating on the Dean’s Honour’s List in 1993. Reason #4: Juris Doctor Degree. Jeffrey earned a Juris Doctor Degree from the University of Toronto Faculty of Law in Toronto in 1996. Reason #5: Law Review Editor. While working toward his law degree, Jeffrey served as Associate Editor of the University of Toronto Law Review. Reason #6: Master Of Laws Degree. Jeffrey didn’t end his legal education after graduating from law school. Instead, he pursued an advanced degree, enrolling in King’s College London, where in 1998 he earned a Master of Laws Degree. Reason #7: Knows Inner Workings Of The Courts. Jeffrey was awarded two judicial clerkships, one at the Commonwealth Court of Pennsylvania in Philadelphia, Pennsylvania and one at the Third Circuit Court of Appeals in Pittsburgh, Pennsylvania. As a result, he is very familiar with how courts work and how to make the legal system work to your benefit. Reason #8: Knows How Law Firms Work. Before opening his own office, Jeffrey worked at law firms in London and Toronto. He knows how both large and small firms operate, and how to work with each to achieve the result you want. Reason #9: Free Consultation. Jeffrey gladly offers an intial consultation without charge. So, please don’t hesitate to call. Reason #10: Trials And Appeals: Jeffrey has advocated for his clients in the Superior Court of Justice and on appeals at the Divisional Court. He is experienced in negotiating and litigating the contested issues. Reason #11: Recognized Authority. 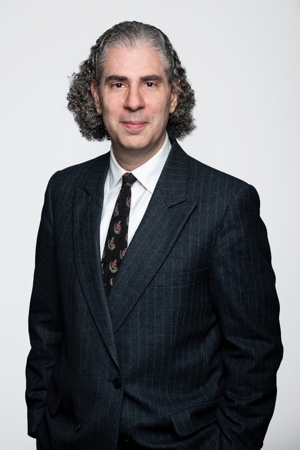 Jeffrey has published a number of articles in Law Now Magazine, been quoted in the newspaper Xtra, and has been interviewed several times by the media, on television: by both CJOH and the New RO; and on radio, by CJOB. Reason #12: Client Services Guarantee. Jeffrey provides each client with a Client Services Guarantee, in which he guarantees the quality of service you will receive from his firm. Reason #13: Easy To Understand. Clients delight in how clearly and precisely Jeffrey speaks. They easily understand what he tells them. Fortunately, he’s not like many lawyers who talk over their clients’ head. Reason #14: Caring And Responsive. No matter how stressed you feel — no matter what you don’t understand — Jeffrey will help calm your nerves, bring your situation into focus, and explain how he can help protect your rights. Reason #15: Easy To Reach With E-mail. E-mail has proved to be a highly effective way for Jeffrey to communicate with clients, rather than one chasing the other by phone. If you approve of conversing through e-mail, Jeffrey will respond promptly. Reason #16: Acts Only With Your Approval. You may have heard horror stories about lawyers who insist on running the show. Jeffrey doesn’t try to take over. He listens to you, considers what you want to achieve, explains obstacles you must overcome, and lets you decide how you want him to proceed. Then he supports your decision. He does not take action without first getting your approval. Reason #17: Client Communication. The cornerstone of Jeffrey’s success has been the quality of his relationship with clients as well as his expertise in handling the most sensitive or complex cases. His primary focus is to listen to and communicate with you so he better understands your needs and provides you with the best possible representation. Reason #18: Long-Time Friend And Neighbour. Jeffrey was born and raised in Ottawa. He now lives in Ottawa with his son, Emet. Reason #19: Clients Are Family Members. One reason Jeffrey gets excellent results for his clients is because he works as hard for them as he would for someone in his own family. Reason #20: Educational Web Site. Jeffrey has designed an in-depth educational web site to answer your questions. Plus, he invites your inquiries, by e-mail and telephone.